I was rummaging through last year’s memorabilla, and found a piece of paper. It was crumpled, and of course, before I threw it out, I checked what was written on it. And I was surprised to find out it’s a copy of a poem I made for English Class. I didn’t remember making two copies of it, and the other one that I knew I wrote, was passed to our teacher, which never came back. So I’ve decided to share it with you guys. And before you ask, we were told to use the poem Carabao: Impressionistic as reference, and pick any animal for it. Here’s that poem, then I’ll show you mine. than all the ways of Gods and fools. Than all the predators of the land. Well, I was kinda bored, so I decided to post about it. 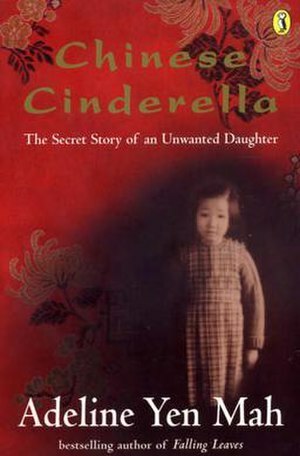 In English class, we’re discussing the book Chinese Cinderella, by Adeline Yen Mah. It’s an autobiography about the childhood of an unwanted chinese daughter, blamed by her siblings and parents for the death of their mother, who died two weeks after giving birth to her. It’s quite a good book, I enjoyed reading it, because as I read it, it was as if I was really there; I could see flashes of sceneries in China during that time. Now, I finished the book faster than most of the class, save for those who also love reading and were able to buy the book earlier than me. So, during the reports, where in intervals our teacher would ask us questions, I can participate freely without taking more than a glance at the book. But here comes the fun part. A while back in school, during English Class, our teacher announced that we were going to do a book review on Chinese Cinderella. We groaned, because we had a knack for being lazy and prone to procastinating. But the good side was that we were given guidelines, which somewhat eased the load. Now we just had to worry about passing it on time. We only had until October 1st to pass it, any later and our teacher wouldn’t accept it. That’s why, right now, I’m doing a draft for it. Wish me luck, and hope I don’t forget to finish it!